Considered one of the premier family law firms in the Bay Area, we have earned the respect of area legal, business and religious communities. We prepare fully for each case we manage, working extremely hard for our clients, and we are proud of our outstanding track record in and out of the courtroom. With the emotional strain of family law issues the last thing our clients need is added stress, so we take painstaking care to be positive and professional in all we do. This is reflected in our clean, comfortable offices; in our highly organized meetings, processes and billing practices; and in the caring, courteous assistance you receive from our legal support staff. It also extends to the Greater East Bay Area through our civic involvement and pro bono efforts. Our legal team is comprised of caring individuals who take their responsibility seriously, including the responsibility to help our clients through their difficulties with a positive attitude—prepared for a bright future. We provide valuable guidance to parents, educating them on how to deal effectively with their children’s emotions, and providing tools to help families move forward as intact and functional as possible. 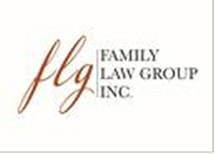 At Family Law Group, LLP, children come first. Family Law Group, LLP is rated BV Distinguished in the prestigious Martindale-Hubbell® Directory of Distinguished Attorneys. This is considered a mark of excellence from the PEER Review RatingsTM survey system that honors lawyers of the highest ethical standards and professional ability.